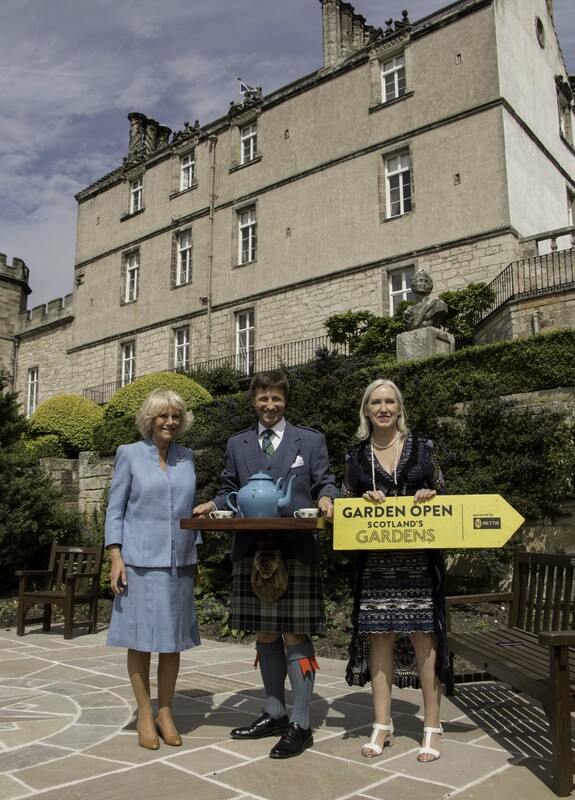 The Duchess of Rothesay joined Scotland’s Gardens to celebrate its 85th anniversary today at a birthday tea party at Winton Castle in East Lothian. “We were delighted to welcome The Duchess of Rothesay to Winton to commemorate the 85th anniversary of the scheme,” says Sir Francis Ogilvy. “Scotland’s Gardens have raised a lot of money for deserving charities, including the Queen’s Nurses’ Benevolent Fund before the NHS existed, and, more recently, Marie Curie.